NEWS: Congressional Republicans are struggling to keep their members in line as House Democrats prepare to vote on a resolution officially condemning President Donald Trump's plan to use a national emergency declaration to fund a wall along the Southern border. NEWS: The decline of landline telephones — and the subsequent irrelevance of the phone book — is making it harder for journalists to do their jobs. SPORTS: The Gonzaga Bulldogs are number one again and Josh Perkins is the team's all-time assist leader. 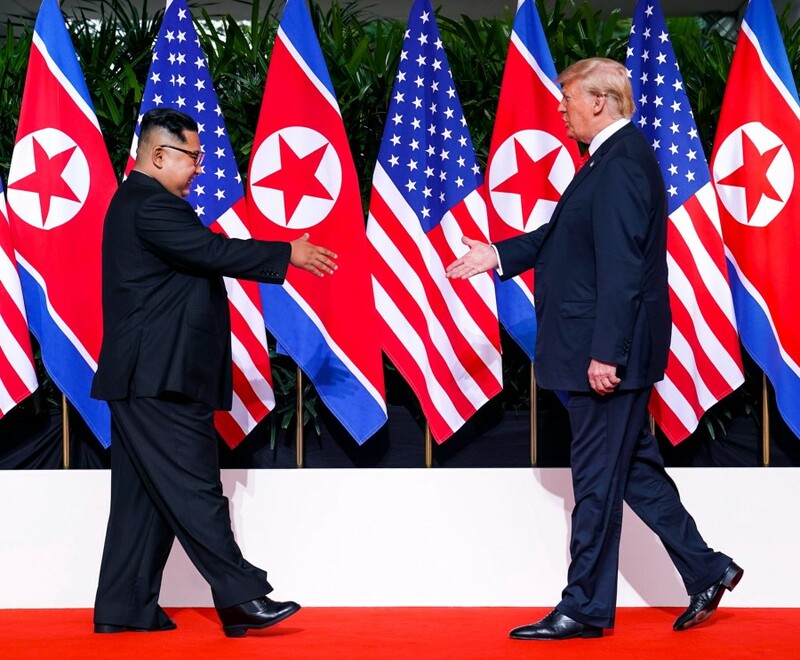 President Donald Trump and Kim Jong Un of North Korea greet each other before their meeting on Sentosa Island in Singapore, June 12, 2018.